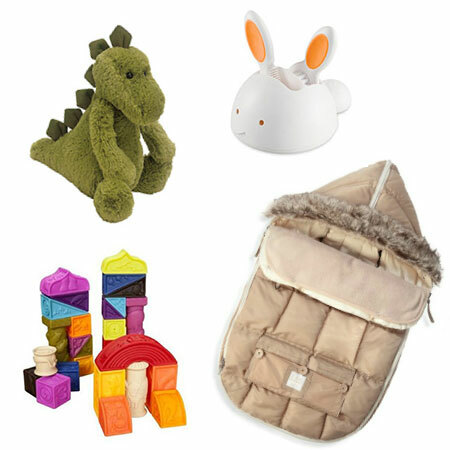 Celebrating your Third Christmas with your little one and looking for something with that WOW factor?? Feast your eyes on these wonderful gems- perfect for our budding Christmas Elves! The Educo Gourmet Chef Kitchen comes in both Green and White, and is PERFECT for your imaginative little tike. What a great way to inspire Just-Like-Parent behaviour, and maybe encourage a little dish-washing along the way? They’re available both online and in store for $139.99. The Green Toys Tea set would make a wonderful companion to the kitchen! 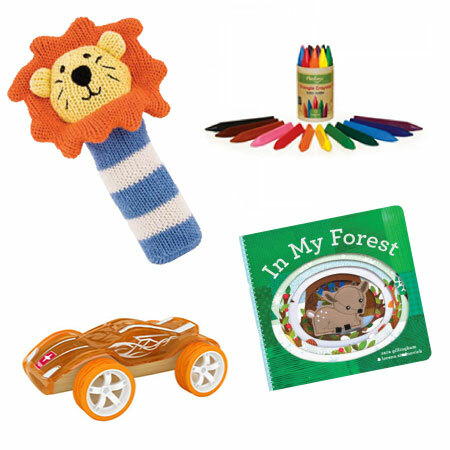 Made from recycled bottles, these toys are easy on the environment, and super durable. And the full set is $35.99! We’ve also got a cheeky twist on Keyboards and Keytars from B.Toys- The Meowsic and Woofer will inspire the rock star in adults and children alike. The Meowsic is $64.99 and the Woofer is $49.99. 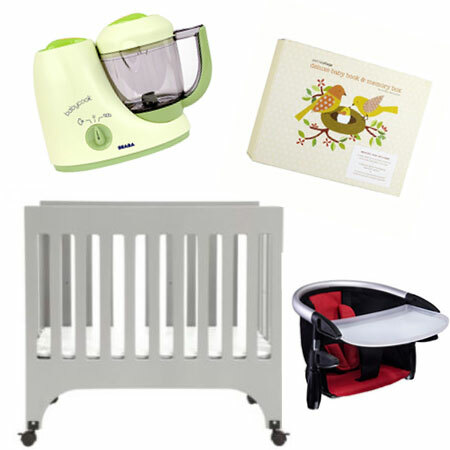 This is a great time to move towards a more Big-Boy and Big-Girl room! So why not jazz it up with the funky animal prints from AD Zif? These hilarious faces are sure to delight! Available in 12 different animals, the multi-coloured prints work with a variety of decor schemes! Available online and in store for $39.99. Visit us in store for more great ideas! We’re at 1244 Wellington Street West and 755 Bank Street in Ottawa and 286 Danforth Avenue in Toronto! Have You Been Good All Year? The B.Toys ElemenoSqueeze is one of my ultimate faves! These squishy blocks are perfect for stacking, chewing or squeezing! These versatile blocks come in a set of 26 and cost $41.99. Their bright colours and prominent letters make for hours of educational fun- both in and out of the bath tub. 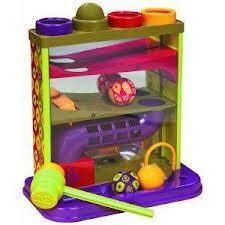 In keeping with our educational theme, you should try this Hape Counting Stacker. Not only can you practice numbers, but this little toy helps you work on dexterity. Stacking can be a fine art, indeed! At $9.99 it’s also a great deal. Got a little mover and shaker on your hands? Check out the Janod Crazy Rocky pull-along puppy! Complete with Wagging tail, Rocky is a retro-inspired wooden toy that will provide hours of fun. He’s $49.99 and available at our Brick & Mortar stores. Meal time becomes a treat with the adorable Zoo Plates from Skip Hop. Available in 11 different animals, these divided plates are only $7.49. Buy the coordinating cups, utensils, bibs and bowls for the little one that has a favourite animal- I personally love the Owl. When the meals are eaten, and the toys put away, snuggle your little one up in cozy sleep sacks from Grobag! These nap bags come in different weights for different temperatures, so make sure you coordinate with the temperature in your nursery- The 2.5 tog is perfect for long winter naps. They vary in price from $49.99 to $64.99, depending on age range. Lay your children to sleep under the beautiful night sky with the Cloud B Twilight Turtle. The gentle light projects real constellations onto the ceiling- providing a point of interest for older kids and a soothing glow for younger. A sure-fire hit, this little fella has been one of our most popular gifts for years! He’s $44.99 and available both in store and online. Still unsure? Do feel free to visit us at any of our locations for more suggestions, and a side of free gift wrap 😉 We’re at 1244 Wellington St. West and 755 Bank Street in Ottawa and 286 Danforth Avenue in Toronto. What’s in Santa’s Sack for Newbies? Tis the Season for visiting loved ones! 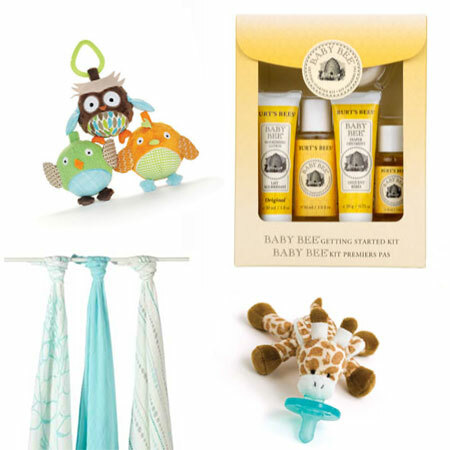 If you’re meeting a new niece or nephew this Christmas we’ve got some suggestions for what to bring! The Before-12-Months Set can be the life of the party! 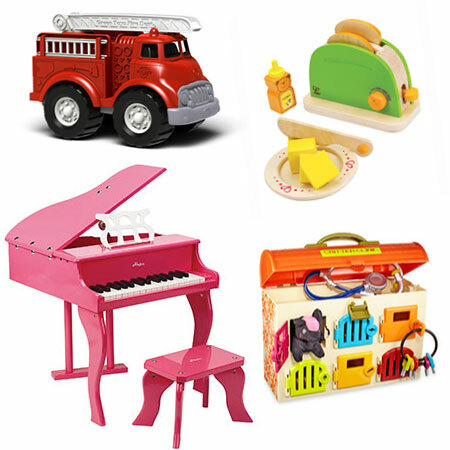 Why not keep them entertained with these fun, safe toys that are age-appropriate for the very wee? The B.Toys Whac ky Ball Set has a mirrored background and features a soft hammer to get the fun started. Your child will spend hours watching the balls work their way through the maze, and then pop them through it all over again! This great toy is $35.99, and available at all of our Brick & Mortar stores. The Skip Hop TreeTop Friends line has been a huge hit this season! The soft toys are fun to tug, but when it’s tummy-time this comfy mat features a mirror in the Tree-Trunk. Perfect for practicing silly faces! It’s available both online and in-store for $74.99. 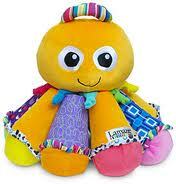 The Lamaze Octo-Tunes makes for a great Play-Date. 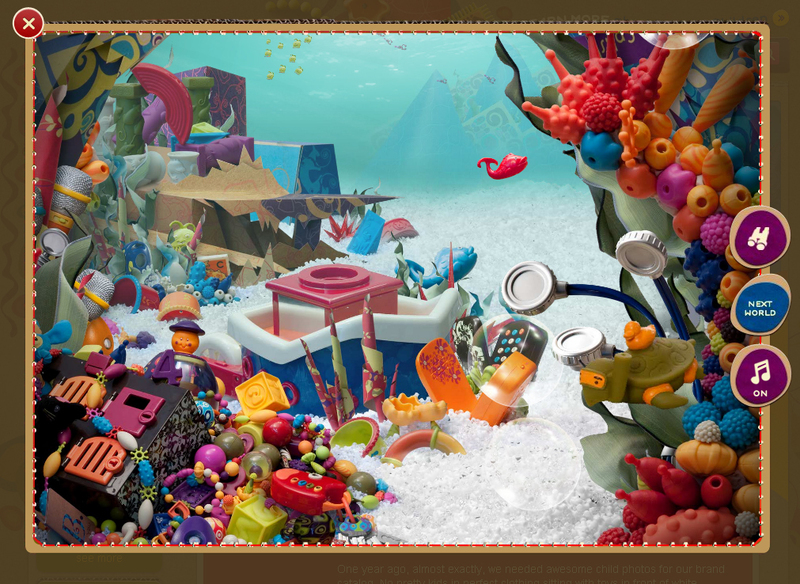 Squeezing each tentacle creates a distinctly different honk- Such a delight! Strengthen your little one’s arm muscles and dexterity development by watching them squeeze, tug and pull. He’s $30.99. Are you looking for something useful, to soothe a frazzled mom and a tuckered out babe? Try the Love to Swaddle Up! This cozy swaddler encourages self soothing, with their hands and mouth in perfect distance! Available at all of our locations in Grey & White, it’s $39.99. 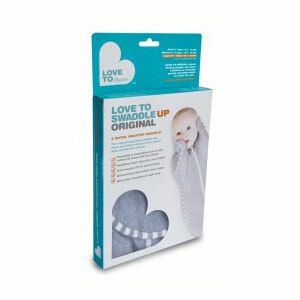 Have you ever tried to put a Snowsuit on a wriggly newborn? Avoid the hassle with these gorgeous bunting bags from 7AM! This helpful cover straps into any stroller with velcro pieces along the back. 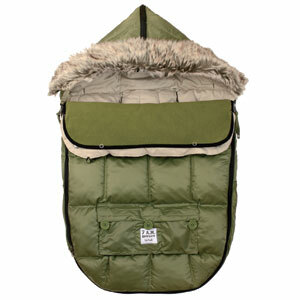 You can remove both the inner fleece lining, and the front from the back altogether. Available in 0-6 for $129.99, 6-18 for $149.99 and 18-36 for $169.99! 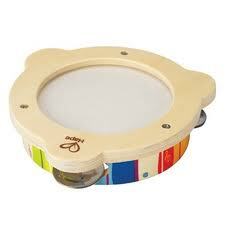 If you have a Mini-Maestro on your hands, foster their love of music with this Tambourine from Hape! A deal at $19.99, your little Tambourine man will be shaking up the fun while learning about rhythm in no time! 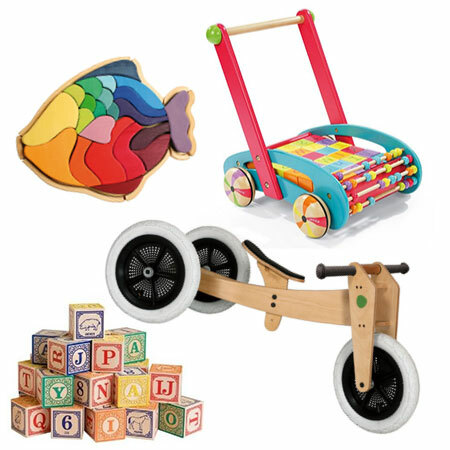 Whether you’re aiming for useful, fun or useful AND fun, we’ve got you covered! 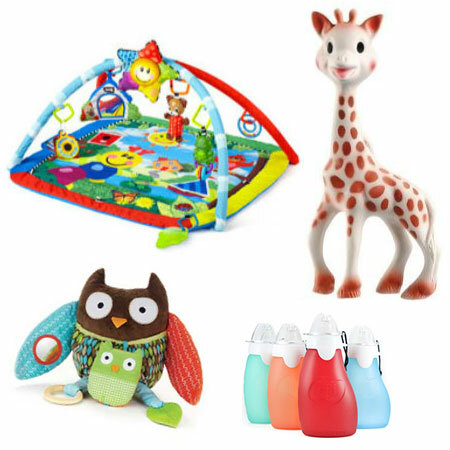 Visit us online at Fabbabygear.com, or in person at 1244 Wellington Street We & 755 Bank Street in Ottawa, or 286 Danforth Avenue in Toronto! We’d love to help find that special something! Strongly influenced by a passion for the rich colours and textures of Inca textiles and the lessons in fiber arts that she learned at her Bolivian abuela’s knee, Gisela Voss has developed a line of childrens’ playthings that is like no other. Owned and manufactured by a 100-year old, family-run, Canadian company , Battat, the B. brand is growing by leaps and bounds – just last month B.Toys appeared on both Ellen and Regis & Kelly. All of this is very big and yet it is still very much a family affair. Gisela’s own teen and tween children even wrote the witty kitty lyrics that the Meowsic sings. Somehow Gisela manages to put her personal touch into every aspect of B. creating an atmosphere of joy and exploration at every turn. 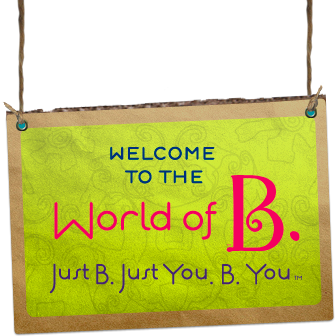 B.‘s website is a maze of inspiration; click the ‘Explore’ button at the top of their page and become lost in wonder in their new imaginary toy worlds. I am not even that artistic and I am itching to join B. and be a part of the fun. An interactive kids’ quote gallery, beautiful enough to frame and hang. A vivacious B.log by Gisela herself. An active partnership with a global initiative called Free the Children. This website is so charged and fascinating you will lose yourself in it. You cannot help but reconnect with your inner child when visiting B. 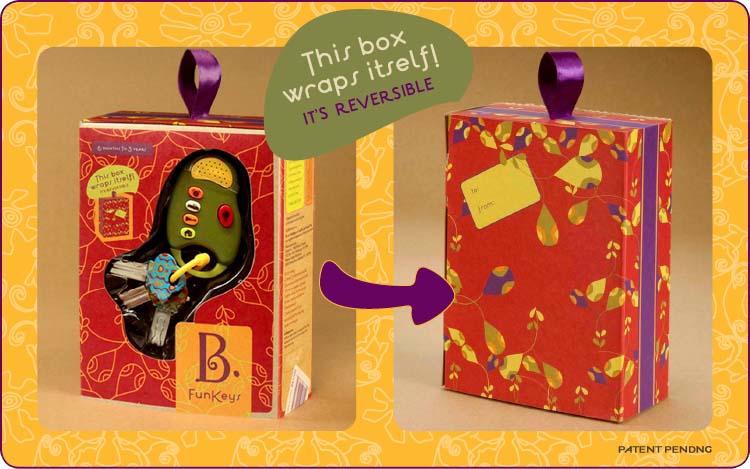 Lots of new B. coming to FAB in time for the Holidays! Get your Christmas pre-orders in by November 25th and receive 10% off special order items.